The Matrix Mx-E5x has a maintenance free battery and does not require external power to operate. 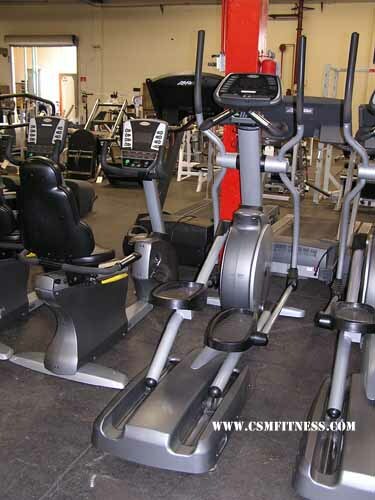 It also has self-balancing footplates with a 21” stride and dual-action upper body cardio arms, which allow the user to work out more of their body with the same general motion; ultimately, this makes for a more effective and higher calorie-burning workout. By coupling each of these features with its 20 resistance levels and 7 preprogrammed workout routines, the MX-E5x is sure to resist the mundane and dreaded cardio workout and, rather, make it an anticipated means by which to burn those extra calories. Resistance: Electro magnetic, electronically controlled adjustment with 20 resistance levels.